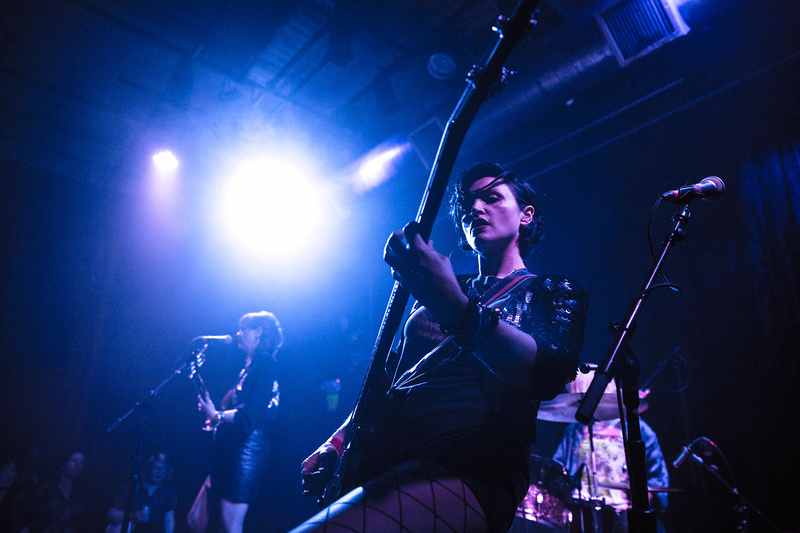 Ex Hex, the new band from former Helium/Wild Flag/Autoclave guitarist/singer Mary Timony, rolled into NYC for two shows on March 20th and 21st. Playing the late show at Mercury Lounge on the 21st, the band took the stage shortly after midnight, and ripped through about a 45 minute set. 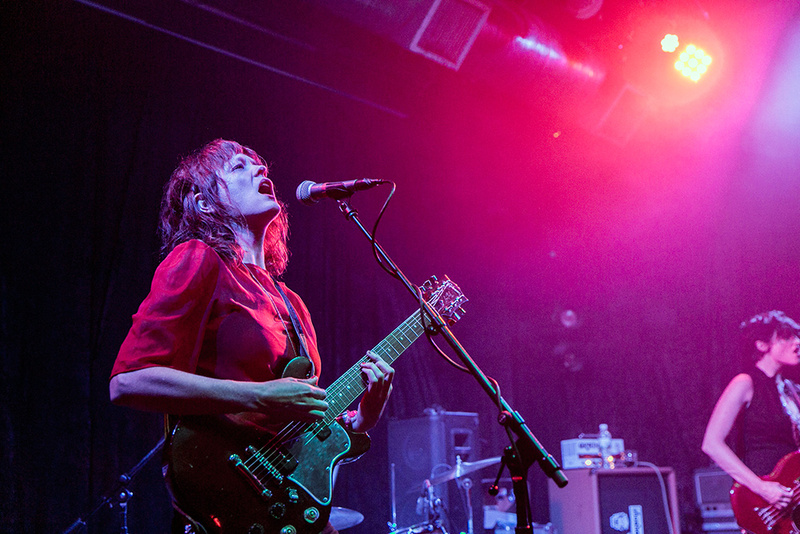 Timony clearly took something away with her time sharing Wild Flag ax duties with Carrie Brownstein, who’s no stranger to Pete Townsend-ish guitar windmills and kicks. 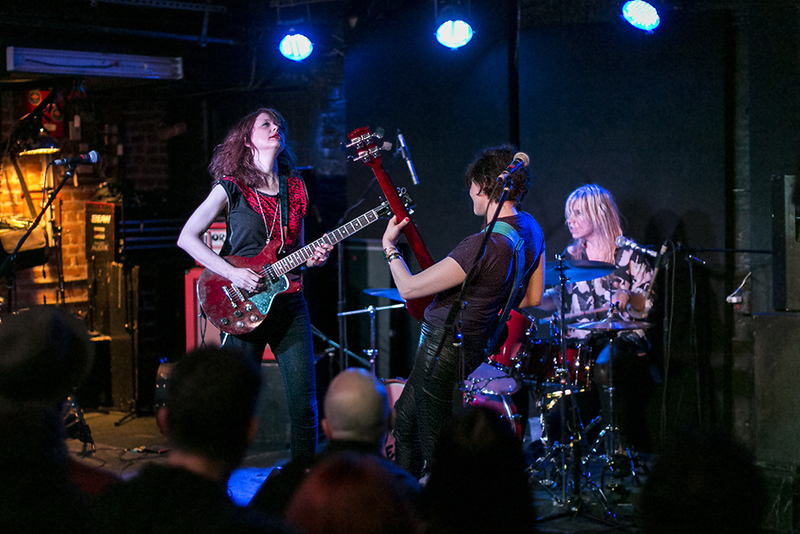 A formidable guitarist who always veered toward prog rock with a somewhat Medieval twinge, Timony seems to be having more fun onstage than ever before, and Ex Hex is her most straight-up rock outfit in her 20+ year career. It’s nice to see Timony just let loose after all these years.